There was Marty Scott, in an article about in the Echo newspaper in England. He couldn’t believe it. Paul, as in the Beatles’ Paul McCartney. At that time there was a lot of “bizarre” things happening to Scott. 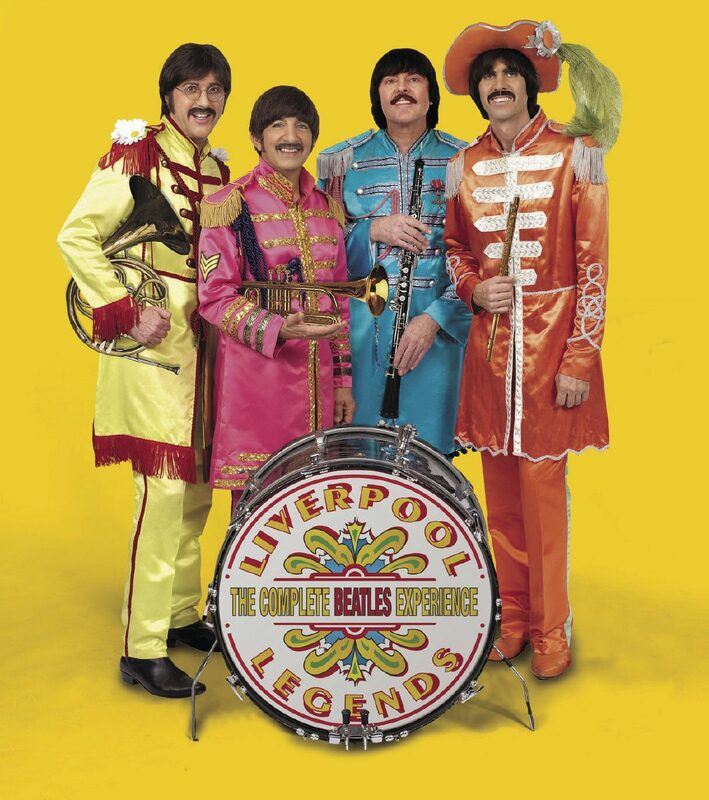 Now, 12 years later he is part of the Beatles’ tribute band called the Liverpool Legends and he takes the role as the Beatles’ George Harrison. The Liverpool Legends return to the Rio Grande Valley from 8 to 10 p.m. Friday at the Edinburg Auditorium and from 8 to 10 p.m. Saturday at the Harlingen Municipal Auditorium. The Liverpool Legends are the only Beatles tribute band to be directly connected to a Beatles family member, Harrison’s sister Louise. They were formed after another bizarre moment in Scott’s life, running into Louise and becoming good friends with her at a Beatles convention in 2001. Scott was singing with his Chicago-area band at a Beatles convention where Louise was the guest of honor. George Harrison had recently died and the two struck up a friendship. With the guidance of Louise, in 2005 the Liverpool Legends was formed. It has been nothing but a whirlwind of amazing stories and sold-out shows worldwide. The group has its own theater, which looks like a giant yellow submarine, in Branson, Missouri, where they also own homes. Louise Harrison moved there as well after forming the legendary look-a-like and sound-a-like group that has traveled the world, headlined the Rose Bowl and Carnegie Hall, and even walked the red carpet after being nominated for a Grammy. “I didn’t know anything about Branson and when we got there, there was nothing there like us — it was all country acts and magicians and we stuck out like a sore thumb,” Scott said. The band stays in Branson for about six months out of the year before they begin traveling. They have performed all over the world including Chile, Egypt, Ecuador, Israel and more. They have sold out an 18,000-seat arena in Mexico City and recently performed a Christmas show there. Scott said the craziness of being part of the Liverpool Legends hasn’t slowed down since that day he friended Louise and sat with her and McCartney. Visit liverpoollegends.com for more information. WHERE Harlingen Municipal Auditorium, 1204 Fair Park Blvd.